Created by CGIAR in 2003 as a time-bound 10-year Programme, GCP’s mission is to use genetic diversity and advanced plant science to improve crops by adding value to breeding for drought-prone and harsh environments. This is achieved through a network of more than 200 partners drawn from CGIAR Centres and programmes, academia, regional and national research programmes, and capacity enhancement to assist developing-world researchers to access technologies and to tap into a broader and richer pool of plant genetic diversity. GCP’s workplan for Phase II (2009–2014) is building on a set of seven crop-and region-specific Research Initiatives (RIs) focusing on drought tolerance for nine key crops, and on an integrated service component. While the RIs aim to demonstrate – through selected user cases – that modern and integrated breeding approaches can have a significant impact on crop productivity in developing countries, the service component (the Integrated Breeding Platform, [IBP]) is conceived as a vehicle for dissemination of knowledge and technology, enabling broad access to and proactive distribution of crop genetic stocks and breeding material; molecular, genomics and informatics technology and information; cost-effective high-throughput laboratory services; and capacity-building programmes. GCP’s annual budget of about USD 15 million is supported by the generosity of various funders, most coming through the CGIAR. Funders in 2011 are (in alphabetical order) the Bill & Melinda Gates Foundation, the CGIAR Fund Council, the Department for International Development (UK), Pioneer Hi-Bred Inc, the European Commission, the Swedish International Development Agency, the Swiss Agency for Development and Cooperation and the Syngenta Foundation for Sustainable Agriculture. To learn more about GCP, please visit our website. IBP is envisioned as a sustainable, web-based, one-stop shop for information, analytical tools and related services to design and carry out integrated breeding projects. 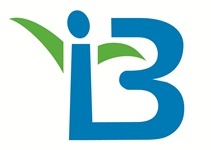 IBP is conceived as a vehicle for dissemination of knowledge and technology, enabling broad access to and proactive distribution of crop genetic stocks and breeding material; molecular, genomics and informatics technology and information; cost-effective high-throughput laboratory services; and capacity-building programmes. GCP has coordinated the development of IBP in collaboration with partners from different universities, CGIAR Centres and developing-country programmes to serve the needs of 14 pioneer ‘user cases’ – active breeding projects on eight crops across 32 developing countries in Africa and Asia. This ensures that from the outset, IBP development is driven by real breeder needs, and that its interface is user-friendly. Please visit the IBP website to learn more.